Continue your rehab program and improve your overall health with our free rehab resources. At Faust Physical Therapy, our team of specialists provide individualized treatment to promote healing, restore function and increase independence for your activities of daily living. Let’s face it. We all need a little help now and then, and your health is no different. Whether you are recovering, or you have a chronic condition that needs managing, our services offer effective solutions for a wide variety of conditions. We are here to help you meet whatever health goals you set. Watch our video to learn more about our practice. Keep up to date with the latest news in rehabilitation, as well as recent announcements from our practice. At Faust Physical Therapy Center, Jeffrey S. Faust, MPT, offers more than advanced therapy techniques. His personalized, involved approach to patient care gives you the support you need to heal in a friendly, comforting environment. Jeff and his staff take great pride in offering truly individualized treatments for each of our patients. With over 20 years of clinical experience and advanced training, Jeff has observed that many facilities do not provide more than 10 minutes of one-to-one treatment. At Faust Physical Therapy, we offer at least 30 MINUTES PER VISIT of 100% therapist-to-patient contact. 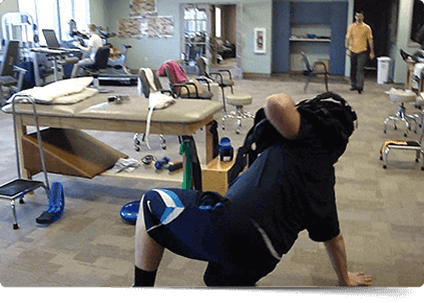 Our facility specializes in proprioceptive neuromuscular facilitation (PNF), a re-strengthening procedure that allows every muscle in the body to be exercised in a fraction of the time, as compared to exercises at a typical rehabilitation center. Furthermore, this technique allows instant feedback from the patient to the therapist, making sure you progress faster, safer, and better with gentle and effective hands-on relief. Whether you’re suffering from back or neck pain or you require intensive rehabilitation after surgery or a sports injury, you’ll find the fast, effective relief you need at Faust Physical Therapy Center in Schuylkill Haven, Pennsylvania. For further information about our staff and treatment procedures, or to schedule an appointment, call (570) 385-5080. We look forward to meeting you and giving you the care you deserve.